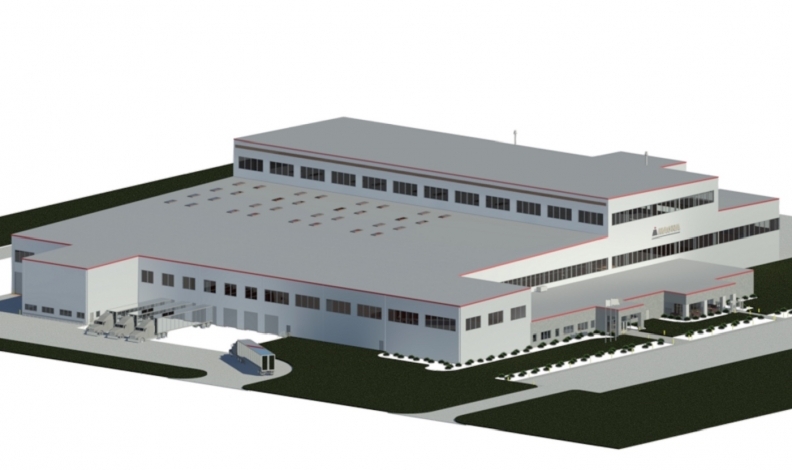 An artist's rendering of the new Magna expansion at the parts supplier's Kamtek plant in Alabama. Global parts supplier Magna International has spent $60 million to add aluminum casting capabilities to its Kamtek plant in Alabama and meet the demand for lighter vehicles in the auto industry. Magna, based in Aurora, Ont., added a 150,000-square-foot (13,935-square-metre) facility in the city of Birmingham, which has the potential to create more than 100 jobs once running at full capacity, the parts maker said in a statement. The new facility, which is now up and running, will initially produce lightweight aluminum front shock towers for a major global automaker, with additional customers and programs expected in the future. Magna uses a high-pressure aluminum casting process that allows production of full structures in one piece, “reducing vehicle mass without compromising performance, structural integrity or safety,” the company said. Traditional steel multi-piece welded assemblies can take multiple stampings — upwards of 12 in some cases — to produce one structural component. "We remain focused on lightweighting to help improve fuel economy while decreasing vehicle emissions over time," John Farrell, president of Cosma International, Magna's body and chassis operating unit, said in a statement. The Kamtek facility employs about 850 people and produces structural components for customers including Mercedes-Benz, Volkswagen and Nissan.